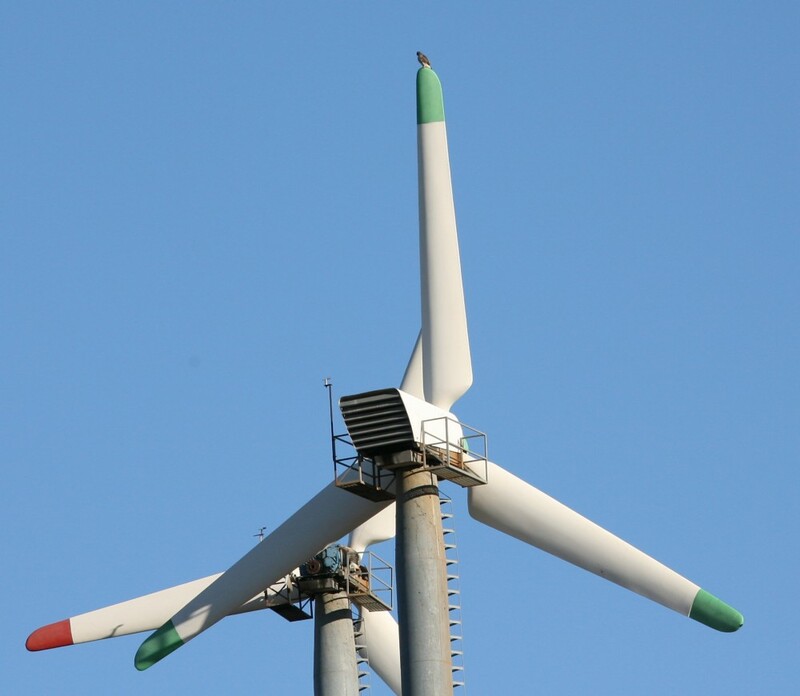 Wind turbines offer great perching opportunities for birds of prey. From up there, they have commanding views of open spaces colonized by graminae, which attract prey such as mice, voles, rabbits, partridges, grouse etc. , or of bodies of water where fish are swimming. Altamont Pass: red-tailed hawk perched on top blade. 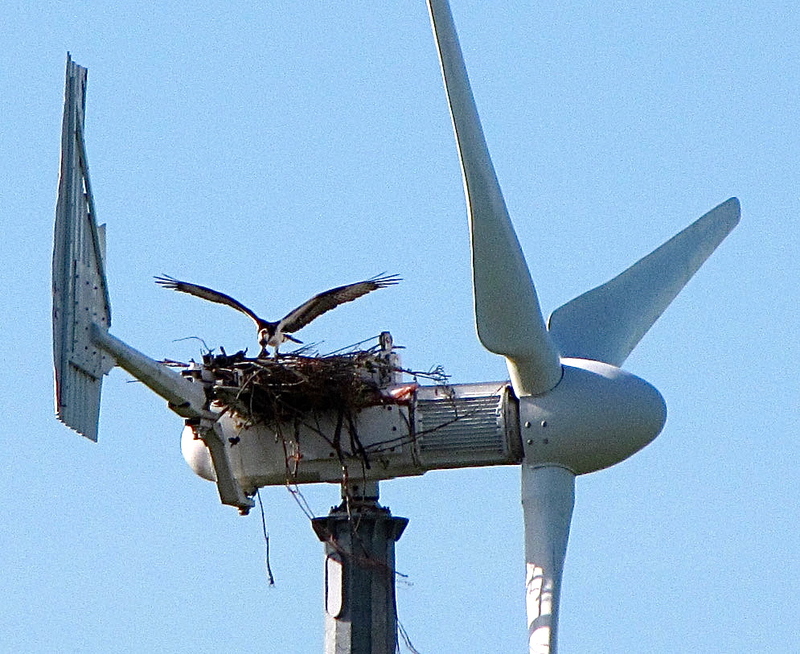 In this case a pair of ospreys succeeded because this turbine at Cape Vincent, NY, was mothballed. This perilous perching often ends up in loss of life. CONCLUSION: ornithologists hired by wind farm developers are misrepresenting the facts when they say that raptors “avoid” wind farms, or “are displaced” by them, or even sometimes “get used to them”. The truth is that they are ATTRACTED, then KILLED by wind turbines. California’s very large Altamont Pass windfarm, for instance, kills about 1300 raptors a year, of which 116 golden eagles on average – source: “Developing Methods to Reduce Bird Mortality In the Altamont Pass Wind Resource Area” (pages 73 & 74, table 3-11, last column: “adjusted for search detection and scavenging”) – Dr. S.Smallwood et al. (2004). And no, Altamont Pass is no exception. 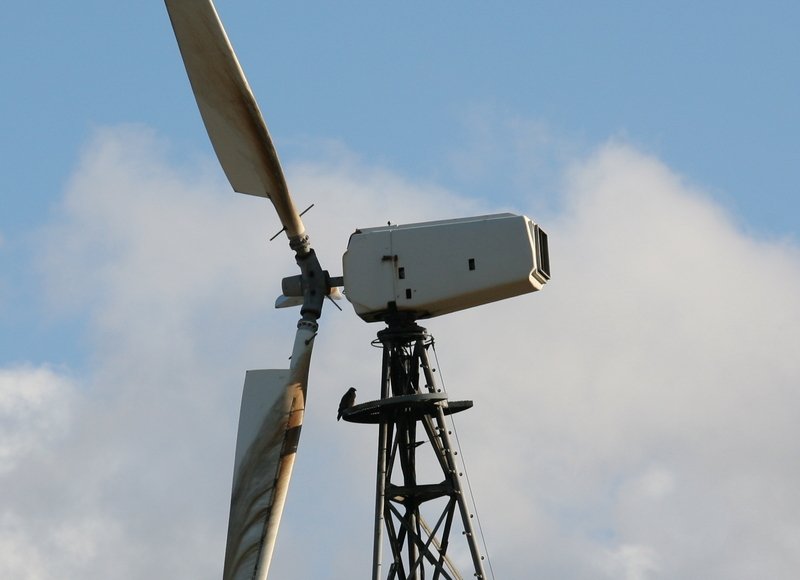 Raptors are being killed by wind farms all over the world. 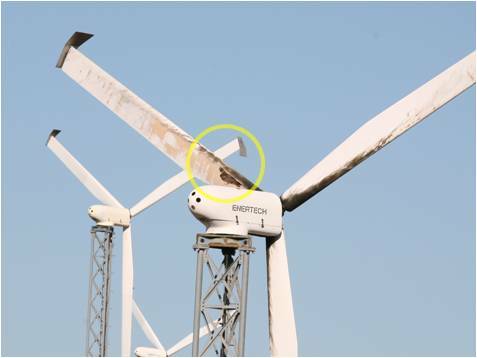 Would so many be killed if they “avoided” or “were displaced by” or “got used to ” wind turbines? Note: if an ad appears below, it’s from WordPress, not from WCFN. WordPress is free of charge, but publicity is how they recoup their costs. We regret that our budget does not permit us to afford an ad-free webpage. I’m sure “environmentalists” will be angry when they hear about this! No, not really, they’ll regard them as a necessary sacrifice to the idiot’s god of wind energy. Just thought of this, Have the turbines produce ultra low frequency sound. This kind of sound causes discomfort for most animals. Maybe the birds will stay away. If this actually works, I hereby release the idea to public domain. What about the neighbors, many of them have their homes no further than 1800 feet away from the turbines? And the cattle that pasture underneath, and the field workers, the maintenance people, etc. They pretend to have solved the problem–Colorado is issuing raptor kill permits to the wind farms making it “legal”–typical liberal solution. 50 million people dead from malaria because of DDT being bannned to save the same raptors that are being killed in larger # by windmills.